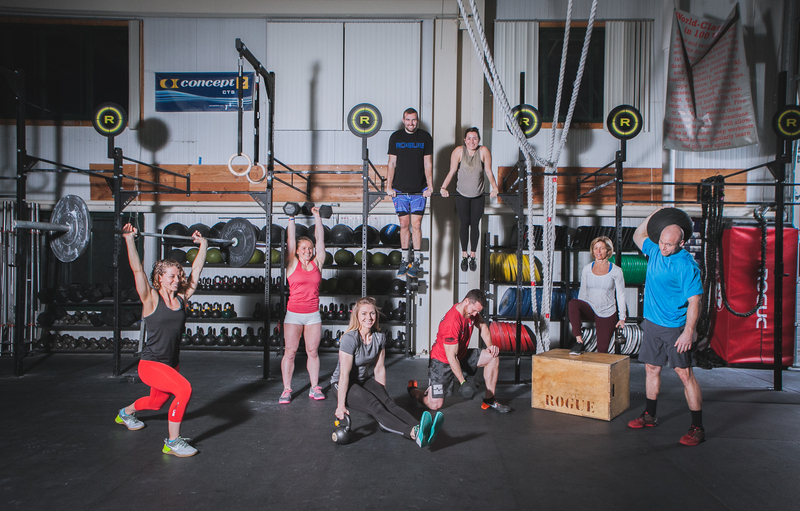 Fit2Perform is located within Champlain Valley CrossFit. Fit2Perform developed as a project to become involved in helping the athletic population perform at an optimum level with emphasis on restoring health and function of the human body. Fit2Perform’s goal is to get you better, and if you’re not hurt, they will help you address your imbalances, help you move better, as well as aid your recovery. Fit2Perform provides physical therapy services for the athletic and active population. Erin’s treatment approaches are not typical of a traditional physical therapy clinic. Erin develops comprehensive treatment plans for each person that is specific to their goals and needs. Treatments are always one-on- one. Therapeutic exercises often involve the whole body while targeting the specific area involved. Clients can expect to use a variety of equipment such as foam rollers, TRX suspension training, barbells, and kettlebells to build the foundational strength and range of motion. Erin also uses dry needling and instrument assisted soft tissue manipulation to decrease pain and improve mobility. The majority of physical therapy sessions will have a blend of manual therapy, education and exercise. Fit2Perform educates their clients on their injury, tissue restrictions and weaknesses to help their clients train in between therapy sessions, providing specific rehab exercises to help their clients train safely, getting them back to their sport as soon as possible. You will not therapist or treatment approach than what is delivered at Fit2Perform. Phone calls will be returned in 24-48 hours. Trigger point dry needling is a skilled intervention that uses a thin monofilament needle to insert into underlying myofascial trigger points to decrease pain and movement deficits. A muscular twitch response is elicited and this has both diagnostic and therapeutic effects. When this occurs, the trigger point is releasing. This is the most commonly asked client question that has a grey answer. Often, individuals do not feel the needle penetrating the skin. Some individuals report a discomfort when a twitch response occurs in the body tissues. This generally goes away quickly and often is referred to as an “ache” by clients. This varies person-to- person. While some will not be sore following a treatment, it is also not uncommon to have a muscle soreness sensation for 1-2 days. In most cases, individuals tend to be sore for the remainder of the day following a dry needling session and then pain relief the following day. Again, this will vary, but this is what clients report at Fit2Perform. Fit2Perform believes in the power of touch and they know how important it is for recovery and injury prevention. Although every PT session is individualized to meet the client’s need, it is safe to say that most all PT visits have a component of manual therapy incorporated into the session. Manual therapy includes any hands on technique; massage, stretching, joint mobilization, or IASTM. Erin uses Hawk Grips tools to perform Instrument Assisted Soft Tissue Mobilization (IASTM). While hands are a physical therapists greatest tool, some tissues, like fascia, is best manipulated with a tool that allow a therapist to feel the underlying tissue adhesions or restrictions. IASTM causes a remodeling effect, referred to as ‘controlled microtrauma’ in research, within the soft tissue structures. As a result, individuals experience increased range of motion and reduced pain from the improved tissue function and mobility. Injury/Mobility screens run every 20 minutes beginning at the top of the hour within Fit2Perform physical therapy clinic. Please email [email protected] if you would like to schedule a pre-screening to assess an injury or whether physical therapy could benefit you. Fit2Perform is in-network BlueCross BlueShield insurance plans. Fit2Perform is happy to see individuals with other insurance plans per their out-of-network benefits or work individuals on a sliding scale who do not have health insurance. “I started physical therapy about one year ago after injuring my shoulder about 6 months prior, I visited doctors and surgery was suggested. I didn’t feel comfortable going under the knife so I decided I would try some aggressive physical therapy with the goal to be pain free when sleeping and running. During my first session, Erin asked what my goals might be in relation to my shoulder injury and rehab. I come from an athletic background and told her that I would like to increase my mobility and strength, so that I would be able to add complex movements, such as weight lifting and gymnastics back into my training. I wanted to train hard and compete pain free. She had me put together a list of movements that caused pain; the list was long and it even included things such as running. Erin was able to combine her knowledge of physical therapy and passion for sports, including Crossfit into a very helpful series of sessions for me. She was able to identify areas of muscle weakness, stiffness and all my imbalances that contributed to my shoulder injury. Slowly we crossed off items on my list that caused shoulder pain. At Fit2Perform, Erin practices what she preaches. Erin leads an active lifestyle and she strives to keep clients enjoying theirs. Fit2Perform’s ultimate goal is turn all clients into performance powerhouses. Not only to correct the current issue, but address the whole body and WHY that injury/issue occurred in the first place. This is especially important with athletes and active individuals because you might be coming in for a physical therapy evaluation due to knee pain when in fact muscular imbalances and restrictions in your hip become the primary focus to prevent that same knee pain from coming back! Remember. Working out shouldn’t hurt. You shouldn’t be restricted during your sport. Don’t wait. Schedule with Fit2Perform’s highly trained physical therapist, Erin Adams, PT, DPT CMTPT who will decrease your pain and improve your function in your sport of choice. In addition to all of the physical aspects of treatment sessions, there is a strong emphasis for patient education during all visits. Fit2Perform strives to teach all clients about their bodies in order optimize activity performance and decrease risk for imbalances. At Fit2Perform, you will work with a Doctor of Physical Therapy for a full one-hour session. Fit2Perform believes in one-on-one care provided by a physical therapist to all clients. Treatment plans are all individualized and focused on short term and long term goals for client carryover in their treatment plan. Fit2Perform will get you better and give you the tools to keep you better. Fit2Perform is in-network with BlueCross BlueShield insurance plans. Fit2Perform will work with other insurance plans based out-of-network benefits. Email Fit2Perform for billing/insurance questions. If you’re not someone who is looking to follow a physical therapy plan of care or is really just looking for some TLC from training. Fit2Perform can help. Erin will work with you for a strictly bodywork session. These visits are approximately 30 minutes of hands on care to address muscle soreness via massage, IASTM, or other modalities. A BodyWork visit costs $45. This is not billed to insurance. Fit2Perform offers Trigger Point Dry Needling packages or single visit rates for those who want to have their painful muscle knots addressed on an as needed basis. Many people receive massages periodically and Fit2Perform would like to offer this service in a similar fashion. A typical session lasts approximately 30 minutes. Unsure if PT is something you need? 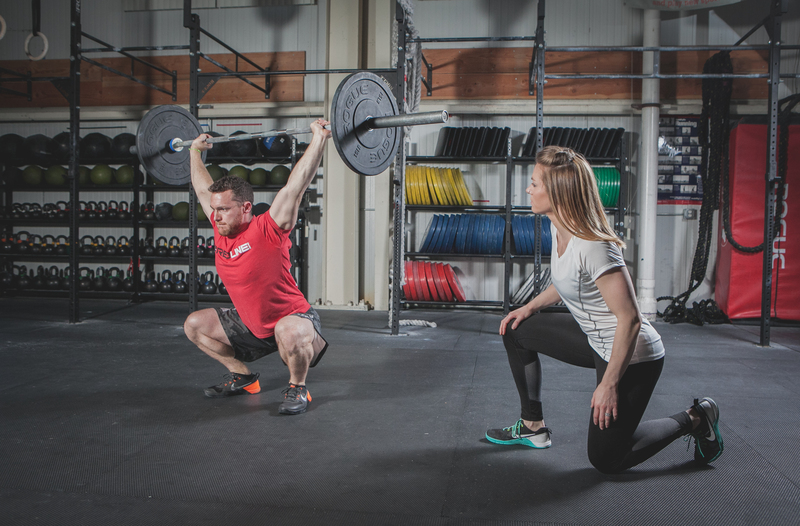 Email Fit2Perform to schedule a FREE 20 minute injury/mobility screen to assess your current concerns. Fit2Perform’s goal during these visits are to assist in determining if you have a true underlying musculoskeletal injury/deficit and if physical therapy will help you fix it. Injury screens are held every Thursday afternoon and will run in 20 minute intervals starting at 3pm until 4pm.